Here at Agriserve Rodent Control, we provide quality pest control services for both commercial and residential properties in Glendale since 1993, with 22 plus years of experience. Big or small - we service it all. Whether you have a smaller area in need of treatment or a number of acres in Glendale, we are well equipped to meet all of your rodent control needs. rodents are experts at finding ways to sneak into your house. Simply keeping doors and windows closed will not keep rodents from invading your home. In fact, rats or rodents are able to squeeze themselves through the smallest holes and cracks in your home that you may not even know exist. At the first sign of their existence, you will want to do a thorough inspection of your home to determine how they are getting in. Common points of entry include dryer vents and utility pipes. After you've determined how rodents are getting in, it’s vital that those areas are properly sealed off as soon as possible. You can try to do this yourself, but it’s best if you consult a professional rodent exterminator to ensure the job is done correctly. Most homeowners know that leaving food out in the open is an invitation for pests, but if you have an active rodent infestation, you will need to take even more precautions. Rodents can easily chew through items like cardboard boxes and plastic bags. For that reason, it's important to place things like cereal and rice in tamper-proof plastic or glass containers, even if your package is unopened. If you suspect that a has already chewed through a package, throw the item away as soon as possible. Even canned foods should receive some extra considerations during a rodent infestation. Rats or rodents will urinate and defecate around any area they inhabit. If rodents are present in your pantry there is a risk that any item in your cabinet could have been subjected. If possible, keep canned items in large storage tubs to avoid contamination. If there's a chance a canned product has already been subjected to rodents, be sure to wipe the lid down thoroughly with a disinfectant prior to opening it. Produce should also be stored in a refrigerator until you are positive there are no longer any rodents in your home. Traps could be a good way to catch rodents in your home. A common mistake people make when making use of traps is not using enough. May very well not think you have multiple rodents in your house, you should still set a good number of traps just in case. Underneath sinks, in pantries, and behind large appliances are popular places for rodents to hide. These are the very best areas to put traps and bait stations. If you're still unsure of where the rodents are congregating in your house, consult a professional rodent exterminator. When working with just about any bait station or trap, it is important to be sure to put them in places where children and pets can not access them. In addition to bugging you, insects pose serious risks to your quality of life and property – all year long. Cockroaches, mosquitos and rodents carry various diseases, therefore it’s important to keep them inside their destination. No matter what season its, they'll slip into your home looking for food, water and a comfortable habitat. Keeping them from home is not a one-time event – it’s a process that is year-round. 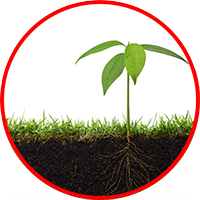 Our pest control specialists work to deliver solutions – rooted in science ‐ that protect every house. Fortunate we know Our Pests for you. With award-winning training and advanced technology, your professional will search for conditions that invite pests, tackle current infestations, and stop the life cycle to prevent future invaders. With more than 160 hours of training simply in the year that is first your technician will know the category and behavior of all of the house pests so he can target his solution against the many typical pests such as for example termites, bed bugs, cockroaches, mosquitos, rodents, and more. Whenever you've got a pest issue or want to protect your home or company from future invaders, we apply our science-based approach to help determine the root of your problem and implement a solution made expressly for your house. During each visit, you can count on a technician that is highly-trained investigate, protect, fortify, keep watch, report, and follow up to keep up our points of solution standard. Our service makes use of a combination of the most advanced technology and methods currently available. This means your tailor-made plan will help get insects from your home which help keep them out‘round year. We Investigate We’ll inspect your home from top to bottom, inside and out, for current or pest that is potential We Protect We’ll treat the perimeter of the appropriate materials to your structure, remove all available spiderwebs and wasp nests, and make use of the safest methods available We Fortify We’ll do everything we are able to to keep insects out –seal, caulk, plug, and secure gaps and cracks We Keep Watch We’ll treat the interior of your install and home pest monitors in critical areas such as kitchens, baths, utility rooms, and garages We Report We’ll always offer a report that is detailed of rendered and recommendations to help in keeping your home free of insects We Follow Up We’ll stay in touch between our regularly scheduled visits and respond to any needs that are immediate Pests are active year-around. Which means you need protection year-around. Our custom treatments adapt because of the season to address seasonal activity that is pest your area, giving you security all through the year. We are going to get back to re-treat outside your property every period for a total of four treatments, such as the initial service. It is all a right part of our service. Springtime is breeding period for numerous pest types. We'll ensure you don't have an infestation in development. Summer heat means activity that is pest high. We'll have your home's perimeter secure. As conditions fall, pests seek someplace warm. We will make sure your house's barrier is prepared. Pests are going to be looking for many of the heat and moisture they can find. We'll make sure your home is protected. Our residential control that is pest is simple. Friendly, trained and licensed service professionals perform an intensive inspection of your home and yard to unearth potential issues. We know where termites, bed insects, spiders, rodents as well as other insects like to live and lurk - so we'll pinpoint these places. Then we'll provide you with a fully personalized program to treat and eliminate entry points and nests. Pests are persistent. So we have been, too. Agriserve Pest Control works across the calendar to keep a environment that is pest-free. This consists of a inspection that is thorough of house and yard to ensure any newly emerging pests do not re-infest the location. Then we are going to administer an exterior treatment every other month to protect your property. Additionally, our solution technicians will remove available spider webs if they see your house. Are you aware that we additionally provide top-notch turf and services that are ornamental? Our residential lawn care program will supply you with the healthy, happy lawn you've yearned for, year in year out, via custom-blended fertilizers, smart weed control, specialist tree and shrub care, and committed maintenance. Some of these domestic services can easily be along with our pest control programs for additional savings. Companies are not resistant to numerous of the issues that bug homeowners. Your home is house to your business, so don't let pests that are uninvited it their property, too. Your facility's uniqueness demands a custom-designed management that is pest grounds worry system. So we understand the needs that are nuanced different industries and spaces represent. 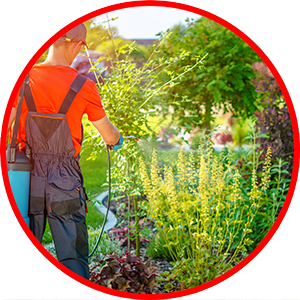 We are going to work difficult to implement the best pest control or grounds care approaches for your particular property. Whether you'll need to oust birds, bed bugs, rodents, termites or other pests – or even to create a welcoming space that is outdoor makes an impact on customers and employees alike – we're your team. We're licensed and certified, employ sustainable practices, use cutting - edge technology and rely on a approach that is humane.